Grand Canyon Lodging, Guest Rooms, and Suites near the South Rim of the Canyon. After a day of exploring one of the most breathtaking natural wonders in the country, retire to your welcoming and upscale accommodations at the Grand Hotel. 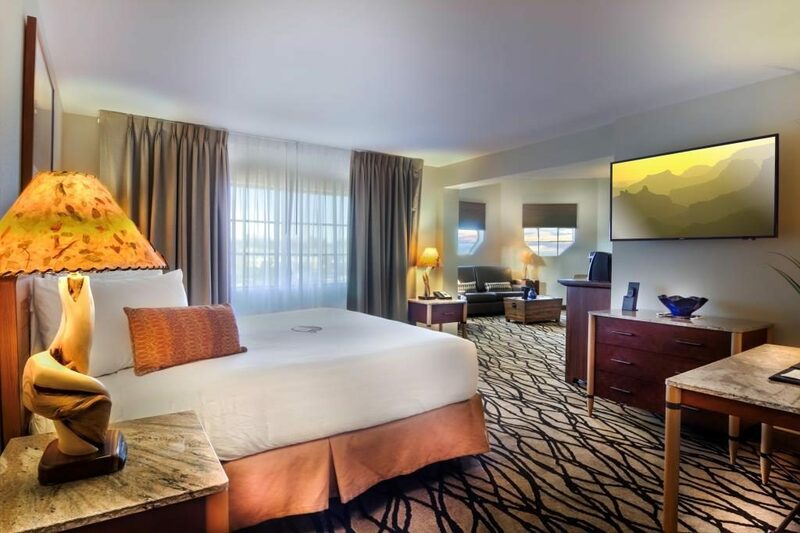 Our rooms, all remodeled in 2016, offer you the comforts and amenities of a home away from home to ensure your visit to the Grand Canyon is truly a vacation to remember. Plus, guests receive a complimentary South Rim Walking Tour Brochure. Whether you are traveling with a family of 5, or escaping for the weekend with your special someone, The Grand Hotel offers the perfect retreat to complete your adventure to the Grand Canyon. To book your stay online click here. Learn about our reservation policies here. 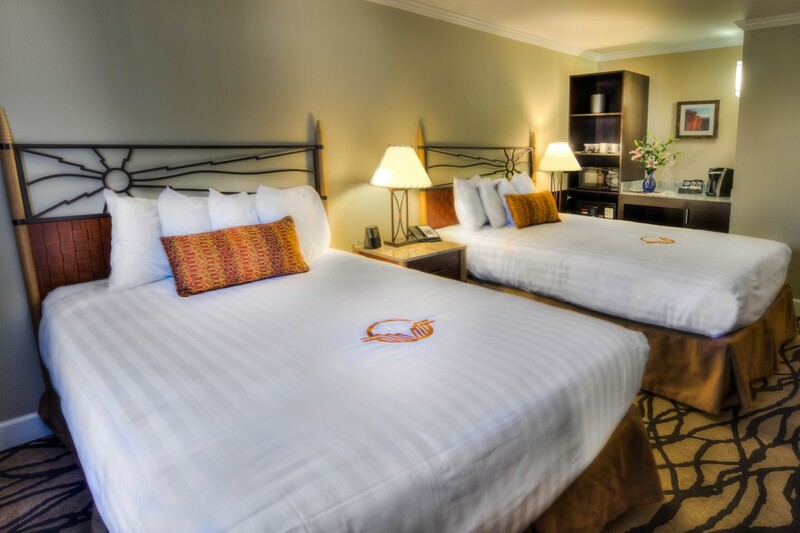 Deluxe Two Queen renovated guest rooms have two queen beds and feature a balcony, in addition to the amenities included with all our rooms. 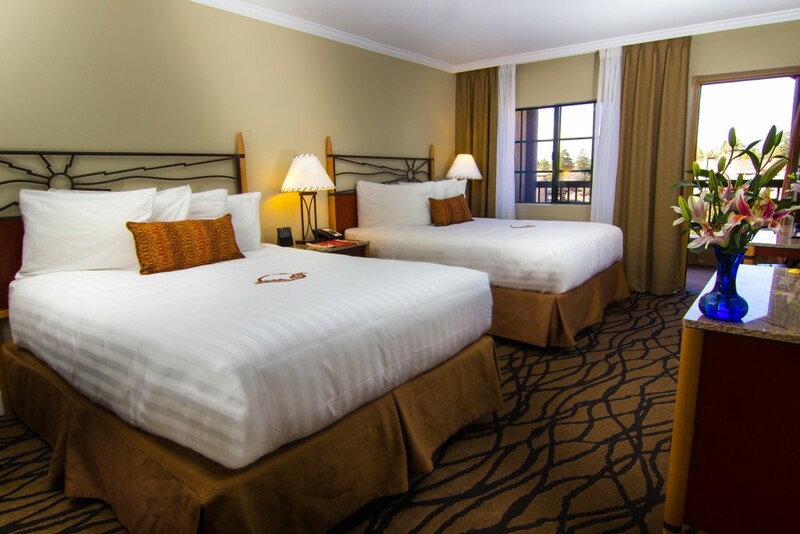 Our Standard Two Queen renovated guest rooms have two queen-sized beds and can comfortably accommodate up to four people. 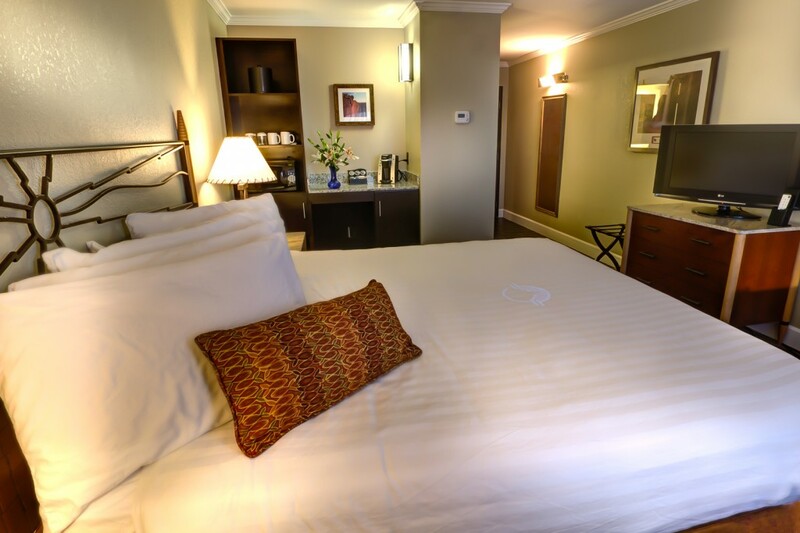 Our newly renovated Standard King rooms have one king-sized bed and can comfortably accommodate up to three people. Visit the Grand Canyon in luxury. The Grand Suite is a studio-style suite with an open floor plan. The bedroom features one king-sized bed with a flat screen TV, living area with a queen-sized sofa sleeper, a second flat screen TV, fridge, ice maker, wine cooler, and a microwave oven.